One of the greatest frameworks around, Vue.js recently introduced new CLI version 3. If you like an overview of the latest and greatest features it offers, don't miss out "So What’s New in Vue CLI 3.0?" by Nwose Lotanna. React hooks are still a big topic. Aayush Jaiswal is recommending "10 React Hooks you Should Have in Your Toolbox". Angular developers would find a lot of useful information in "Ngx-restangular: RESTful API Angular solution". Finally, don't miss out to check the newest release notes for our favorite framework, Aurelia, on the official blog. 2019 is a truly amazing time for all aspiring front-end developers. There's plenty of educational materials, courses, and tutorials. Every day, endless blog posts and articles sprout like mushrooms after rain. Anyone who wants to become a homegrown pro has access to everything they need - usually for free. So the last shall be , and the first [length - 1]. - Adapted from Matthew 20:16 I'll skip the Malthusian Catastrophe and get to it: arrays are one of the simplest and most important data structures. We will load the "house" data-set, which can be found here. It contains many different features for a given house. For this tutorial, we only want data about average area number of rooms and the price of each house. Add the following code to your script.js file. To write your own models, interceptors, modules for handling errors, methods for writing needed headers and lots of other stuff - that's rather exciting only if you aren't doing it a third time in 2 months, right? Actually, that's the reason why we've decided to port a Martin Gontovnikas' "Restangular" on an Angular/TypeScript. Ben Nadel explores the use of a specialized HttpClient in order to report the user's local Timezone Offset as a custom HTTP Header, "X-Timezone-Offset". This is just one of the many reasons that you should be creating custom HttpClient instances in an Angular 7.2.10 application. Let's start by creating a new Angular Project in our system. For this, make sure that you have the latest version of Angular CLI installed. Wes Grimes Mar 29 ・6 min read This article is a continuation of an Angular Hot Tip tweet that I sent out earlier this week. It became widely popular and generated quite a discussion. The concepts explored in this article reflect that discussion, so you should probably take some time and go check it out here: 📣🌟Angular Hot Tip Counting on ngOnDestroy to always fire? A good number of people are excited about the addition of Hooks to React - I happen to be one of those people! Once you get past the tutorials on how to get started with Hooks, your next concern becomes obvious: How do you actually refactor your existing application or components to use Hooks? Thank you Yomi Eluwande for submitting this guest blog post to teach others about your skills and learnings as a developer. If you want to submit a guest blog post too, I am keen to get a message from you. There is only one requirement: You must have written a quality technical article before. These are the things you need to know to learn React. 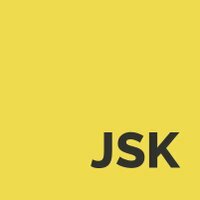 4 main ES6 features and a few things about working with React. Today, we're excited to announce the beta of Aurelia's Web Components plugin, enabling you to use your Aurelia custom elements as Web Component standard custom elements, easily inter-operating with other frameworks. Aurelia has always valued strong web standards usage. Before starting with an upgrade to v4, let's discuss the high-level definition of webpack. I promise this won't take much time. " Webpack is a tool. Helps in creating browser readable bundle.js* file. " For React component lovers, a simple analogical explanation is given in the diagram. One of my favorite services for years has been IFTTT (If this then that). Having a service that allows me to trigger a host of functionalities with one simple action is amazing! Posting a picture to Instagram can trigger IFTTT to send a tweet, post to Facebook, email to friends, etc. This year feels like it's on moving too fast! March is done and it was an eventful month for us here at Scotch. We've gotten the following done: Twitch streams have been quite the learning experience for me. Between video and audio gear and learning how to read chat/code/stream at the same time while keep it interesting.